ust because summer is over doesn’t mean all bright colors have to go out the window. Though it’s easy to gravitate towards darker nail polish tones in the cooler months of the year, how about adding some special touches to brighten things up? If you’re chomping at the bit to try the darker colors, you can put a unique spin on those, too. 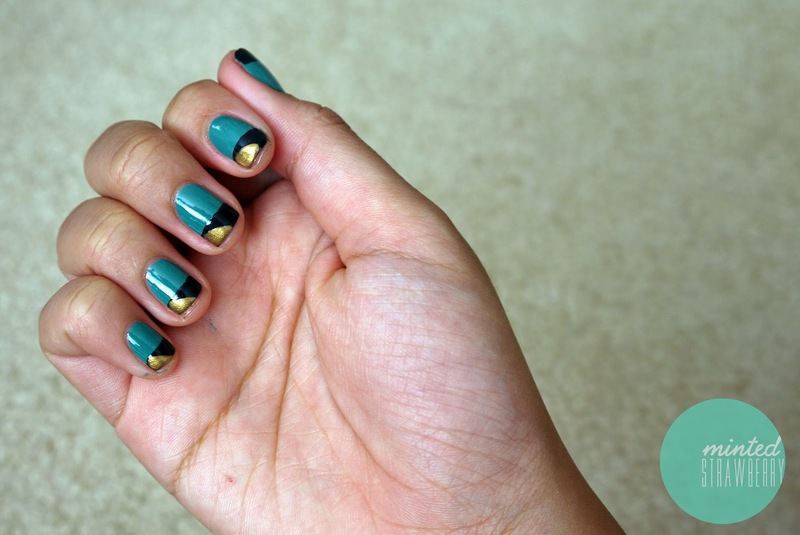 Nails are not meant to be taken too seriously, so if you’re able to jazz them up a bit, give this nail look a try. Originally pinned from Pinterest, these pretty fall nails are courtesy of Minted Strawberry. Her step-by-step instructions on how to score this look are here. Another twist on seasonal nails? The black French manicure. Perfect for Halloween, or just a really “New York chic” kind of day. Last, but not least, is the sparkly silver manicure that I suggest practicing with long before the holiday parties start piling up. This isn’t the easiest manicure to do, but when it’s done right, it looks spectacular. Get your polish ready and nail it!